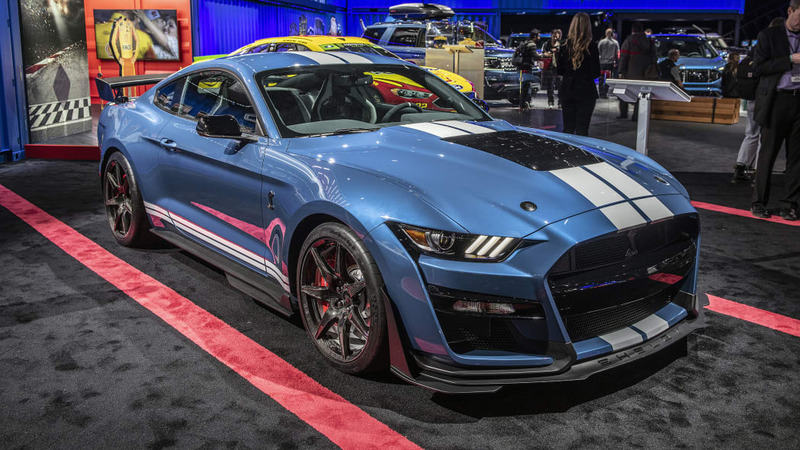 A big change from the GT350’s Voodoo is the changeover from a flat-plane crank to a more traditional cross-plane crank in the GT500. 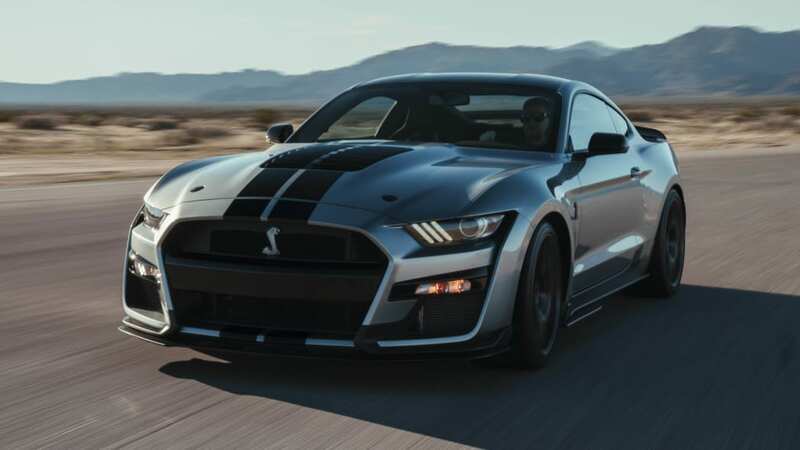 With a honking 2.65-liter supercharger blowing through an air-to-liquid intercooler, the GT500 doesn’t need to spin as fast as the Voodoo. 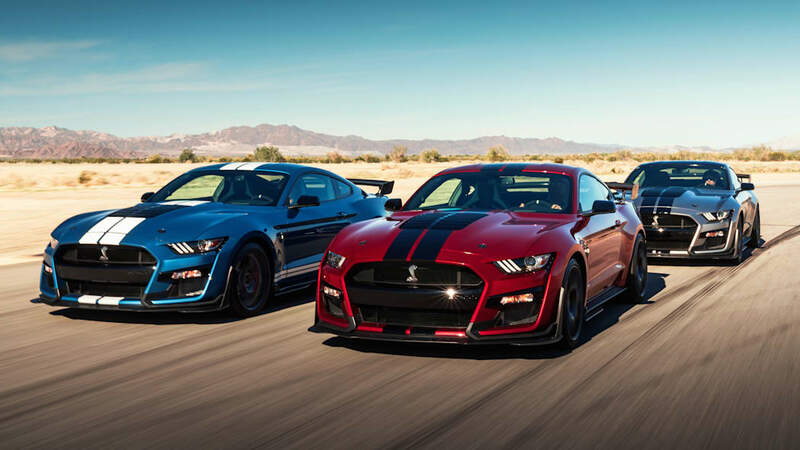 The GT500’s redline will be a little under 7,500 rpm, but we don’t think people will mind. 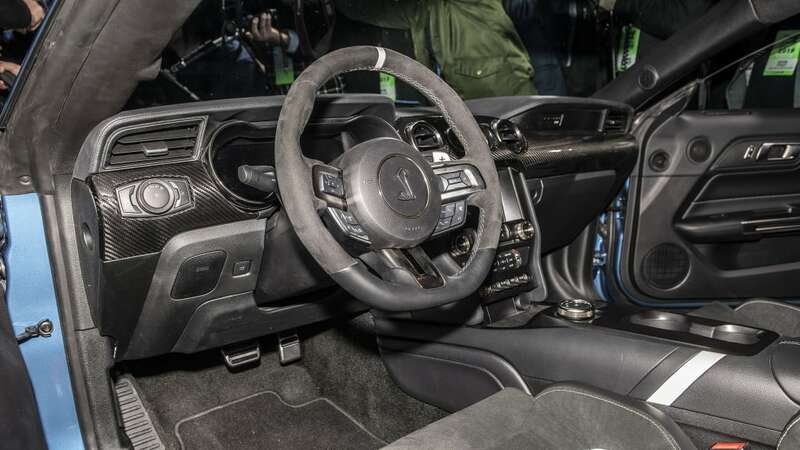 Between the wheels and the engine is a seven-speed dual-clutch automatic transmission that’s unique to the GT500 and is the only transmission option. 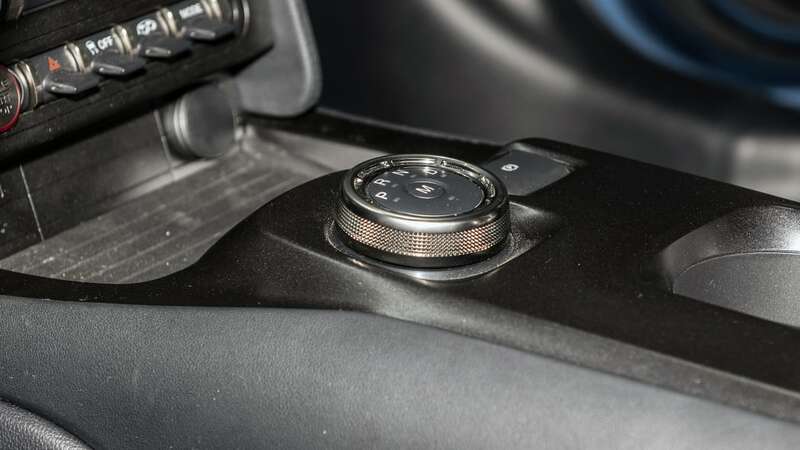 Ford says it made this the sole transmission for its fast shift times of less than 100 milliseconds, smooth shifts, and the fact that it runs cooler than a conventional automatic. Power goes through a unique carbon fiber driveshaft to beefier halfshafts. 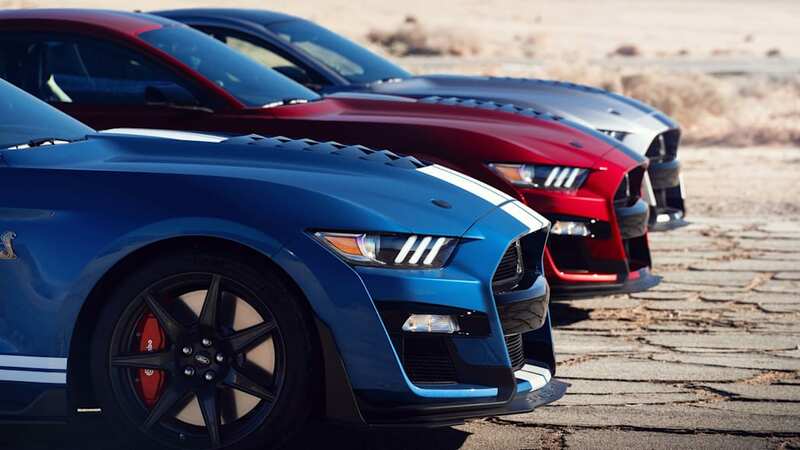 Matching the power of the GT500 are a number of chassis and aerodynamic upgrades. The suspension geometry is revised and has lighter springs and standard magnetorheological shocks. Two-piece 16.5-inch rotors sit up front and are gripped by six-piston calipers, while the rears make do with four-piston calipers. The front end of the car is made more aggressive with wider fenders and a grille that allows 50 percent more airflow. The fiberglass hood has a huge vent for extra cooling and reducing lift. In the back, there’s a subtle lip spoiler. But if that’s not enough, an optional Handling Package adds camber adjustment plates and a Gurney flap for the spoiler. 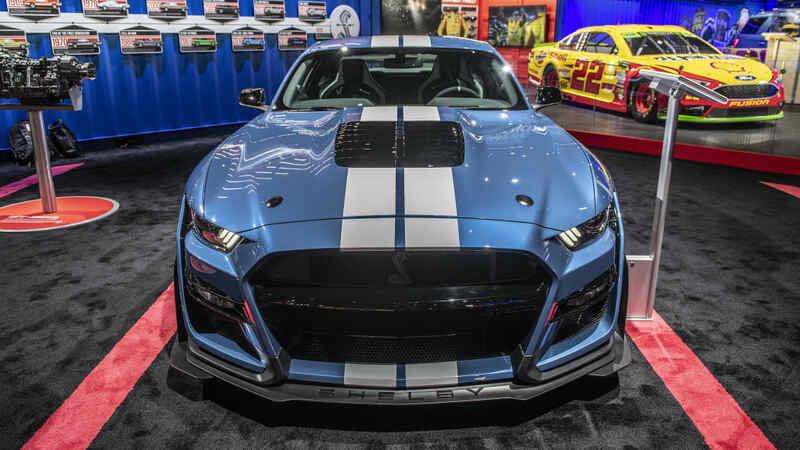 Then there’s the Carbon Fiber Track Pack that features 20-inch carbon fiber wheels, a more aggressive front splitter, and canards and a wing patterned after the GT4 Mustang race cars. 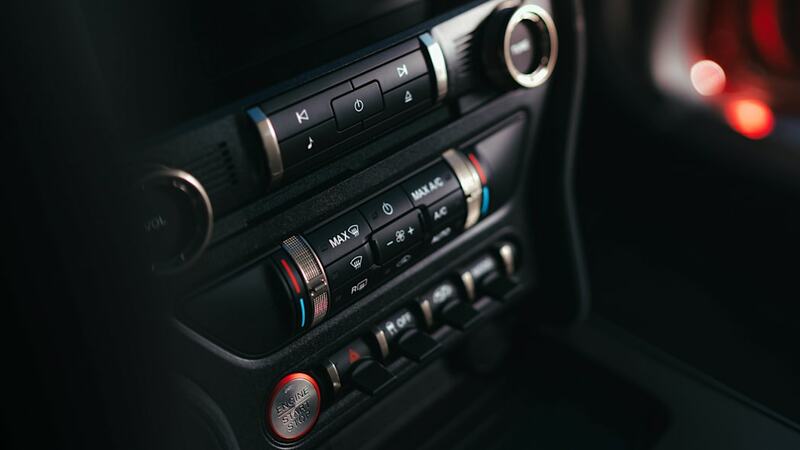 On top of that, the package removes the rear seat and replaces the standard Michelin PilotSport 4S tires for even sticker Pilot Sport Cup 2 tires. 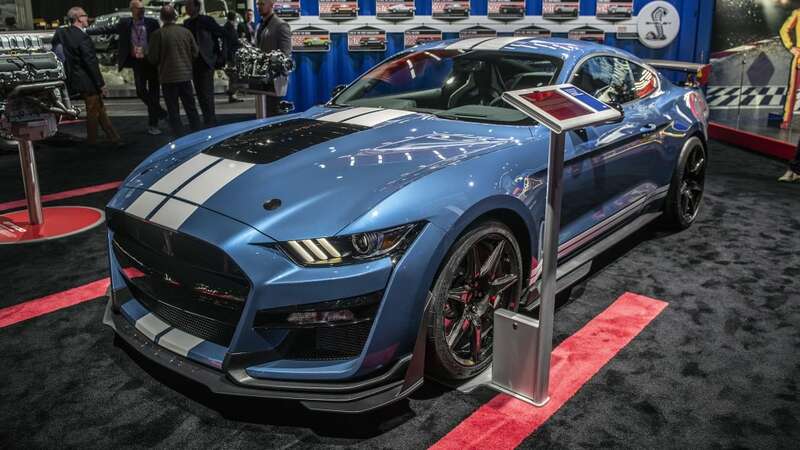 With this package, a Ford representative revealed the GT500 produces more downforce than the Ford GT supercar. Ford of course addressed looks, too. 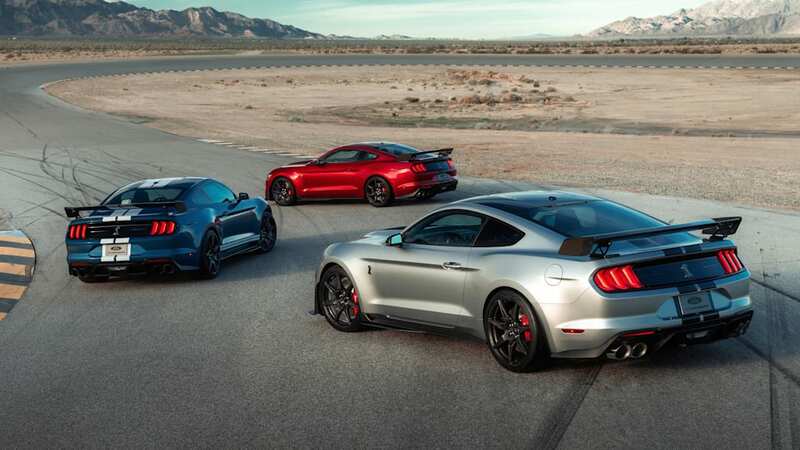 Besides letting in more air, the front fascia is easily the most aggressive, over-the-top design in recent Mustang history. 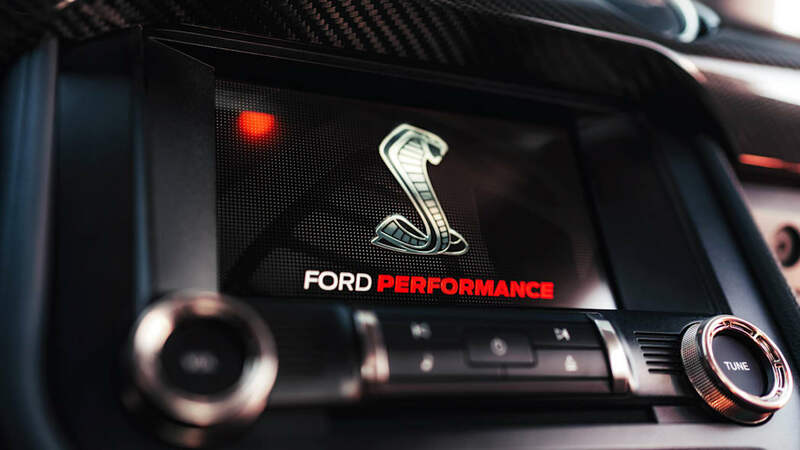 In the middle of it is the biggest Cobra badge Ford has ever created. 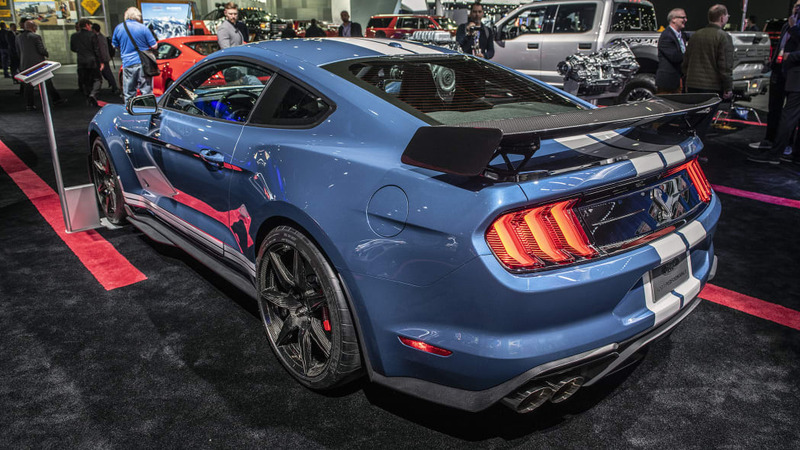 The deep front spoiler is matched by side skirt extensions and a large rear diffuser. 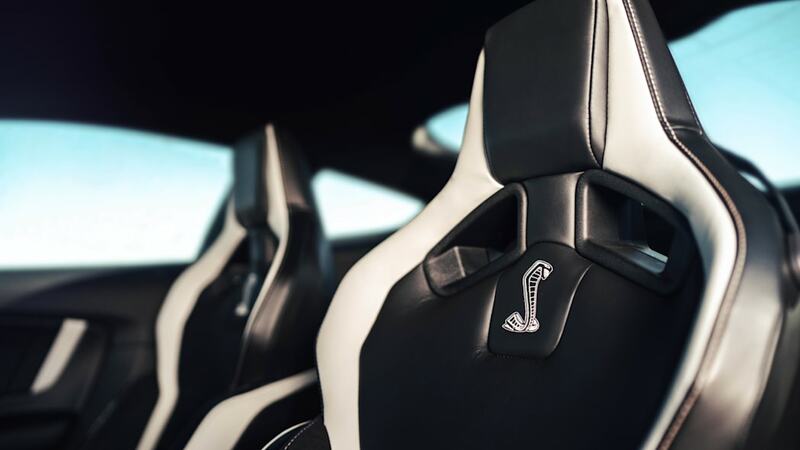 Capping off the design are four exhaust tips measuring a whopping five inches apiece, despite the fact the main exhaust pipes measure just 2.75 inches. 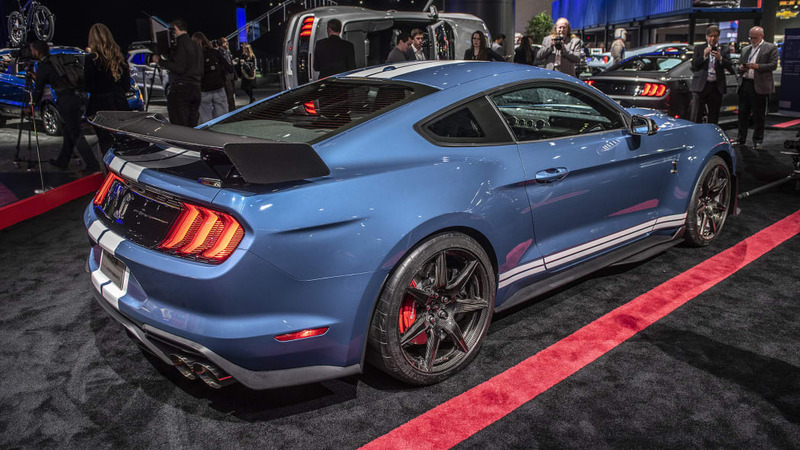 For additional visual flair, Ford offers painted racing stripes and side stripe stickers. 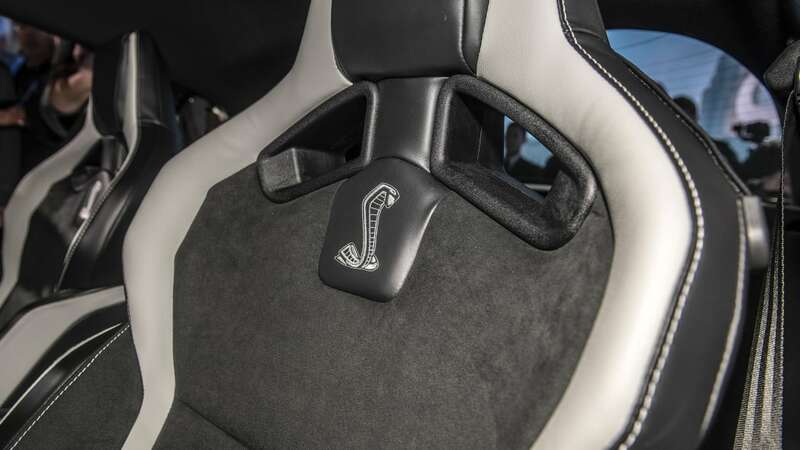 Inside, Recaro racing seats or power sport seats are available, along with carbon fiber trim pieces and Miko suede door panels. 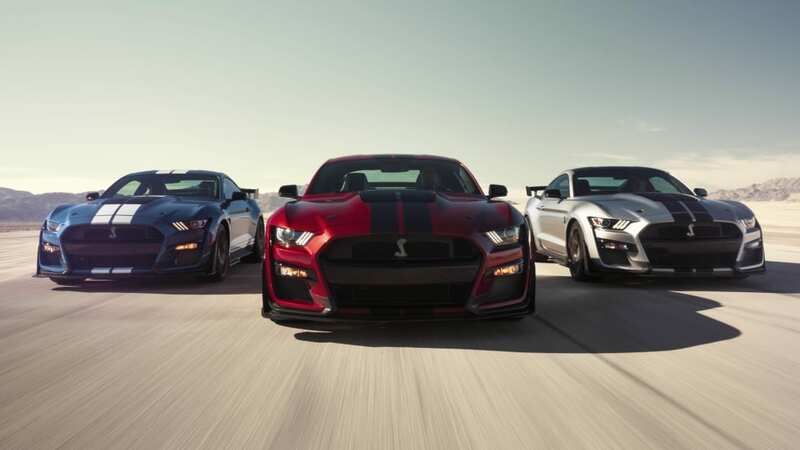 The 2020 GT500 goes on sale this fall. Pricing hasn’t been announced yet, but expect that to be announced closer to release, along with final horsepower numbers.